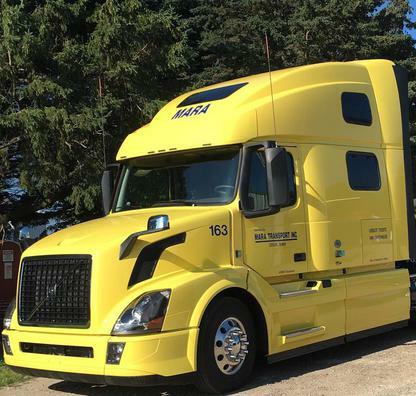 Mara Transport Inc. is an over the road trucking company located in central Iowa. We are a family owned and operated company who prides ourselves on integrity, trustworthiness and promptness. We maintain a close-knit relationship with our drivers, customers and brokers, making sure to keep that "family" atmosphere. Our fleet transports dry van freight in the east north central region, the midwest plains, mountain west as well as Canada and Alaska.